According to Dr. Merhi, [m]edication is like egg food, so if you have a lot of eggs, then a lot of medication may be fine because there’s numerous eggs to feed. If you have a low number of eggs, then all you need is a little bit of food. In other words, the amount of medication administered during a Mini-IVF™ cycle is tailored specifically for each patient based on her egg reserve. As reported by Fox News, the Mini-IVF™ is an alternative to Conventional IVF that has been practiced successfully for years by Dr. Zaher Merhi. As explained by Dr. Merhi, the Mini-IVF™ is less taxing on a woman’s body because only small amounts of fertility medications are administered during a cycle. Because less medication is used during a Mini-IVF™, women may not have an intolerable experience of unpleasant symptoms such as extreme swelling/bloating, night sweats, and weight gain as they do during a Conventional IVF. The Mini-IVF™ is an option for women who may respond better to lower doses of fertility medication. This protocol may help women produce higher quality eggs for fertilization. Pregnancy success rates for Mini-IVF™ are comparable to Conventional IVF without the high cost of large quantities of fertility medication. Because the Mini-IVF™ protocol uses lower dosages of fertility medications, a woman only produces 3 to 5 high quality eggs. With a Mini-IVF™ protocol, the patient’s physical discomfort is lessened because her body is not forced into producing the 10 to 15 eggs typically reached in a Conventional IVF cycle. Because less fertility medications are used, the Mini-IVF™ is more affordable than Conventional IVF. Contact New Hope Fertility Center for most current pricing on our fee for the Mini-IVF™ procedure. Our quoted fee will not include the cost of fertility medications, which can range up to $1,500. Mini-IVF™ is the preferred protocol for women who do not have many eggs remaining in their ovarian reserve – common for patients over the age of 35. Mini-IVF™ pregnancy success rates for women over 35 were a third higher than for Conventional IVF. Women in their 40s were two times more likely to have a baby using Mini-IVF™ compared to if they had undergone Conventional IVF. It is important to work with a Mini-IVF™ expert having the expertise to design a customized treatment plan meeting your financial and medical needs. To schedule your initial consultation with Dr. John Zhang at New Hope Fertility Center – call 917.525.5496.
drjohnzhang, February 28, 2019. No Comments. Category: Mini-IVF. 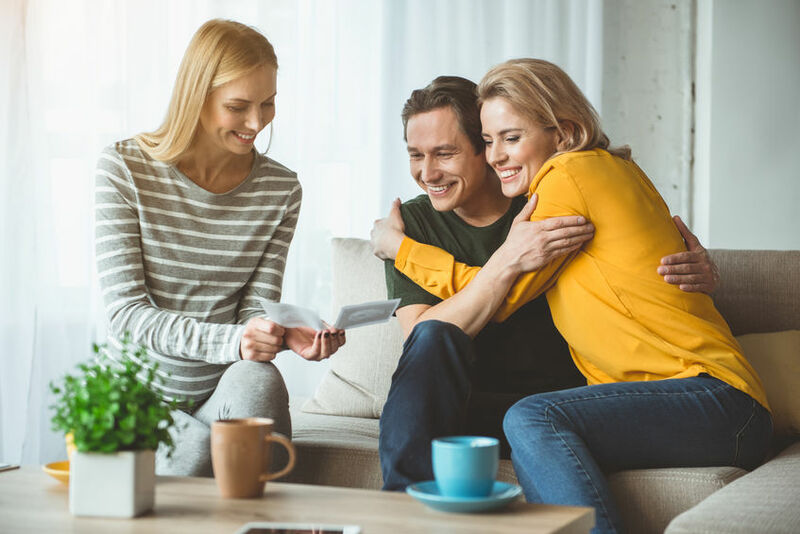 Being proactive in taking care of your mental health care is key to securing your financial investment in fertility treatment. 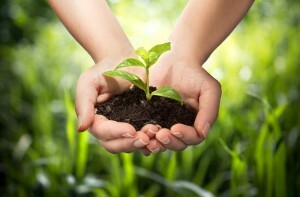 Action plan: Reflect and reach out for an expert in fertility counseling. Our fertility experts strongly recommend Professional In-House Fertility Counseling with Allison Rosen Ph.D. That’s not all: We are dedicated to promoting our patients’ awareness of genetic testing in conjunction with IVF to increase their chances of a successful pregnancy. Dr. Zhang would like to introduce you to an expert fertility counselor if you are struggling with fertility treatment. To schedule your initial consultation with Dr. Allison Rosen at New Hope Fertility Center call 917.525.5496.
drjohnzhang, February 25, 2019. No Comments. Category: Fertility Counseling. No longer do women have to be cornered into motherhood by their biological clock. 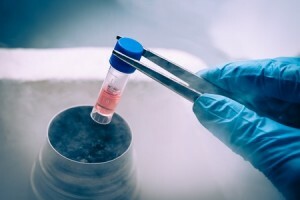 You can put your maternal instinct on hold by taking advantage of egg freezing – also known as oocyte cryopreservation – in conjunction with IVF. Today’s smart women are planning for the future when it comes to her aging eggs. The younger your eggs are when trying to conceive, the better chance you will have of getting pregnant. – Dr. John Zhang as quoted in Parenting. If you know that one day you would like to become a mother, but feel that now is just not the time, we recommend freezing your eggs. When you are ready for motherhood, it only takes one good egg and a healthy sperm! More and more women are postponing motherhood past their prime childbearing years. You can join the force of women who are growing more confident in their ability to give birth to a biological child in the future – without fear of maternal aging. Read an amazing story in Harper’s Bazaar that features how our Division of Fertility Preservation has played a major role in informing women of their future family planning options. Egg freezing is accomplished through a fresh IVF cycle, stopping short of fertilization with sperm in vitro. When she is ready to start building her family, the egg freezing process continues. Many of our patients opt to have their embryos undergo genetic testing prior to transfer. Resulting embryos are cultured to a blastocyst stage (5 days) and then are re-evaluated by our embryologists to ensure good health. PGS/NGS identifies chromosomal abnormalities and identifies the gender of each embryo. Pregnancy success rates using a woman’s egg that has been cryopreserved are comparable to success rates using a fresh egg. Continually increasing IVF Pregnancy Success Rates requires all-encompassing fertility care. It is important to work with a fertility specialist having the research and clinical experience required to design a customized egg freezing plan meeting your personal and medical needs. To schedule your initial consultation with Dr. John Zhang at New Hope Fertility Center – call 917.525.5496.
drjohnzhang, February 21, 2019. No Comments. Category: Egg Freezing. Our team of fertility specialists made news in the NY Post with the launching of Needle-Free IVF – a holistic method of treatment which promises pregnancy success without injections. What’s news? No longer does a woman have to undergo costly and painful injections and blood draws to achieve a healthy pregnancy through IVF. Why is this news? Dr. Zaher Merhi – Director of Research and Development at New Hope Fertility Center – is proud to have spearheaded this Needle-Free protocol in response to his patients’ feedback concerning the daunting cost, pain, and inconvenience of traditional IVF. Gone are the days of costly fertility medications, inconvenient daily blood draws, and painful injections. 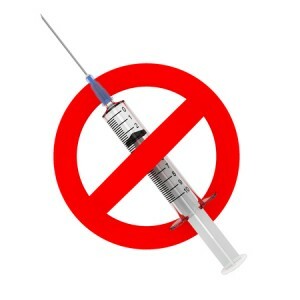 Women who are afraid of needles are particularly happy to hear about the new technique, Merhi said – (NY Post). They are very, very excited – they’re happy that there are no shots. Our research and clinical experience has proven that high dosages of fertility drugs may be associated with poor egg quality – making it more difficult to achieve a healthy pregnancy through Conventional IVF. As part of our commitment to increasing our patients’ chances of conceiving, we have established a focus on holistic IVF protocols – Mini-IVF™ and Natural Cycle IVF™. These holistic protocols give our patients the opportunity to achieve a pregnancy through IVF for less money and with little aggravation. This gentle and effective IVF protocol is designed to be patient-friendly to patients who have unique needs. Women diagnosed as difficult or hopelessly infertile by other fertility clinics are welcomed at New Hope Fertility Center. The best part? Because of our One Good Egg Policy, we happily accept candidates for IVF that other fertility clinics decline to treat and have proven success where others failed to even try. Many of our patients opt to have their embryos undergo genetic testing during their Needle-Free IVF cycle. It is important to work with a fertility specialist having the research and clinical experience required to design a customized IVF treatment plan meeting your personal medical needs. To schedule your initial consultation with Dr. John Zhang at New Hope Fertility Center – call 917.525.5496.
drjohnzhang, February 18, 2019. No Comments. Category: Needle Free IVF. The success of our holistic Natural Cycle IVF™ supports our steadfast One Good Egg Policy. Here’s the deal: Our mission is to reduce frustrations associated with conventional fertility care through new and innovative IVF protocols. Every woman is different based on her unique medical history and fertility assessment. It is quality eggs that matter – not quantity. Bottom Line: It only takes one good egg and one healthy sperm to achieve a successful pregnancy and birth of a healthy baby. drjohnzhang, February 14, 2019. No Comments. Category: Natural Cycle IVF. We want to invite all LGBTQ couples wanting to start their family to visit New Hope Fertility Center in NYC. In today’s modern society, sexual orientation bias has no place in the practice of fertility treatment. Our fertility specialists are renowned worldwide for consistently and fairly sharing their expertise and counsel with the LGBTQ community. We have offered worldwide state-of-the-art fertility procedures to our LGBTQ patients since 2004. We have maintained our mission of reducing the physical, emotional, and financial toll of every LGBTQ patient during their quest to have a baby. Every person has the right to have a family of their own. Regardless of the gender combination of LGBTQ couples – or singles wanting to be a solo parent – the process of selecting donor eggs or donor sperm has been substantially streamlined for our patients’ ease. We offer world class – yet affordable – support packages for the selection of donor eggs and donor sperm. Our donor program is extremely successful because we use the most cutting-edge cryopreservation and IVF technologies. You can realize your dream of building a family through our state-of-the-art reproductive technologies. The most common fertility treatment for lesbian couples is IUI. Timed with induced ovulation, the patient is artificially inseminated with a highly concentrated amount of motile donor sperm. The IUI procedure is performed in the doctor’s office and requires no anesthesia. Two IUI inseminations are performed between 12 and 36 hours after hCG administration to increase the patient’s chances of pregnancy. One partner’s eggs are harvested for in vitro fertilization using donor sperm. The other partner carries the pregnancy. Gestational Surrogacy – Using donor eggs to be fertilized with the sperm from one of the partners. 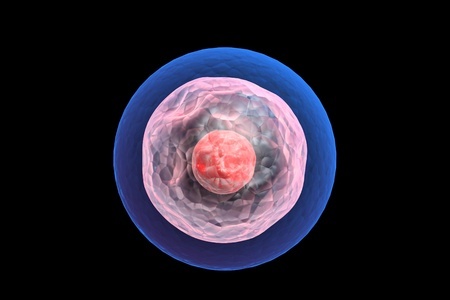 The resulting embryo is transferred to a surrogate who will carry the baby. Egg Donor Recipient Program – Acquiring donor eggs to accomplish gestational surrogacy. Gestational surrogacy may be used to achieve a pregnancy and birth using a surrogate mother. It is important to work with world renowned fertility specialists having the clinical experience required to design a customized IVF treatment plan meeting your personal and medical needs. To schedule your initial consultation with Dr. John Zhang at New Hope Fertility Center – call 917.525.5496.
drjohnzhang, February 11, 2019. No Comments. Category: LGBTQ Fertility Treatment. We want to make you aware of your fertility preservation options made possible by our Division of Fertility Preservation. Why does this matter? Freeze now and preserve your fertility for the future! This is the news: Our Founder and Medical Director – Dr. John Zhang – made worldwide news when he traveled to China and operated in tandem with Dr. Sherman Silber to achieve the first successful frozen ovarian tissue transplant. The best part: Because Dr. Zhang once again pushed the boundaries of modern medicine in the field of fertility preservation, the operation was successful and the woman’s fertility was restored. Bottom Line: If you want to postpone parenthood, you must locate a fertility preservation clinic having earned a world renowned reputation as a pioneer in the field of fertility preservation. 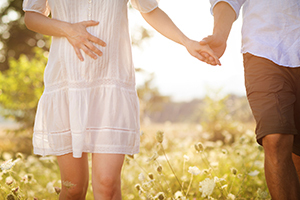 Our Division of Fertility Preservation provides all-encompassing cryopreservation technology. Egg freezing is accomplished through a fresh IVF cycle, stopping short of egg fertilization in vitro. Dr. John Zhang was one of the first doctors in the United States to implement vitrification as a method of cryopreservation. The Doctor was one of the first doctors in New York to facilitate a live birth using a frozen egg. When a woman is ready to start building her family at some point in time in the future, the egg freezing process continues. Embryo cryopreservation is commonly used to preserve a couple’s future fertility through IVF and FET technology. A couple can increase their chances of conceiving a biologically-related child when they are ready to build their family. It is important to work with a fertility doctor having the research and clinical expertise required to design a customized fertility preservation plan meeting your personal and medical needs. To schedule your initial consultation with Dr. John Zhang at New Hope Fertility Center – call 917.525.5496.
drjohnzhang, February 7, 2019. No Comments. Category: Fertility Preservation. As reported by ABC News, the Mini-IVF™ is a newer and gentler IVF protocol. What’s the real story? As an alternative to Conventional IVF, the Mini-IVF™ has been successfully practiced for over a decade by our fertility specialists. As explained by Dr. John Zhang – Medical Director and CEO of New Hope Fertility Center – to ABC News, You only need one good-quality egg to achieve a live birth. With Mini-IVF™, you make very few eggs, but good quality eggs to achieve a pregnancy. The best part: This holistic IVF protocol is gentle on a woman’s body because patients follow a low-dose oral drug regimen during a fresh cycle – instead of the typical rigorous administration of daily hormone shots. Many women who have failed Conventional IVF have achieved a successful pregnancy after undergoing a Mini-IVF™ – ABC News. That’s not all. Because less medication is used during a Mini-IVF™, most women do not have an intolerable experience of unpleasant symptoms – such as extreme swelling/bloating, night sweats, and weight gain. The Mini-IVF™ is an option for women who may respond better to lower doses of fertility medication. This holistic protocol may help women produce higher quality eggs for successful fertilization. Pregnancy success rates for Mini-IVF™ are comparable to Conventional IVF without the high cost of large doses of fertility medications. The Mini-IVF™ protocol prescribes lower dosages of fertility medications so that a woman only produces 3 to 5 high quality eggs. With Mini-IVF™ protocol, the patient’s physical discomfort is lessened because her body is not forced into producing the 10 to 15 eggs typically reached in a Conventional IVF cycle. A study conducted by New Hope Fertility Center – published in the American Journal of Obstetrics and Gynecology found the live birth rate for Mini-IVF™ was 49 percent. State-of-the-Art IVF Technology, ingenuity, and standards set New Hope Fertility Center apart from all other fertility clinics – worldwide. Look: Our patients are our first priority and we strive to provide stellar IVF treatment through a customized, evidence-based approach. Bottom Line: We have designed a cutting-edge environment with the specific goal of maximizing every patient’s chances of having a baby. Only a world class IVF clinic will accumulate and post online the unlimited patient success stories from their patients. At New Hope Fertility Center, we strive to maintain our position as a world class IVF clinic by producing high pregnancy success rates. Our reputation as a world class IVF clinic, has earned us the status of being a renowned leader in IVF globally. It is important to work with an IVF specialist having the world class technology and expertise to design a customized treatment plan meeting your financial and medical needs. To schedule your initial consultation with Dr. John Zhang at New Hope Fertility Center – call 917.525.5496.
drjohnzhang, February 4, 2019. No Comments. Category: Mini-IVF.